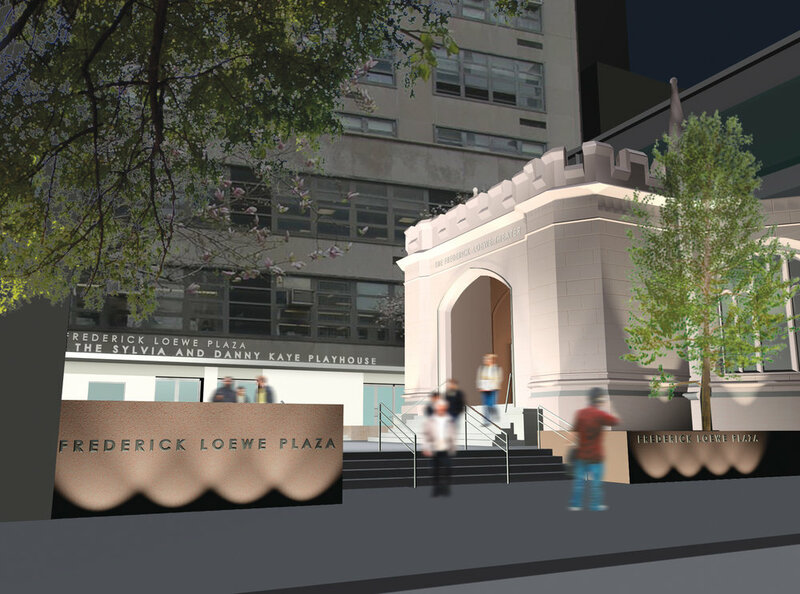 PKSB was commissioned by Hunter College to restore the original elegance and simple character of Loewe Plaza. Over time, the plaza had become obscured by a haphazard collection of signage, banners, cigarette receptacles, waste receptacles, and railings. 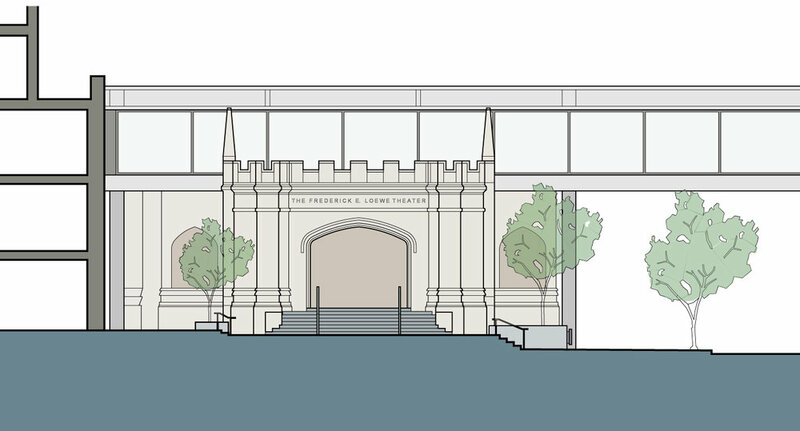 The goal of the project was twofold: to create a gracious plaza with barrier-free access that could be used by the academic community, and to establish clear and identifiable entrances to two theaters. 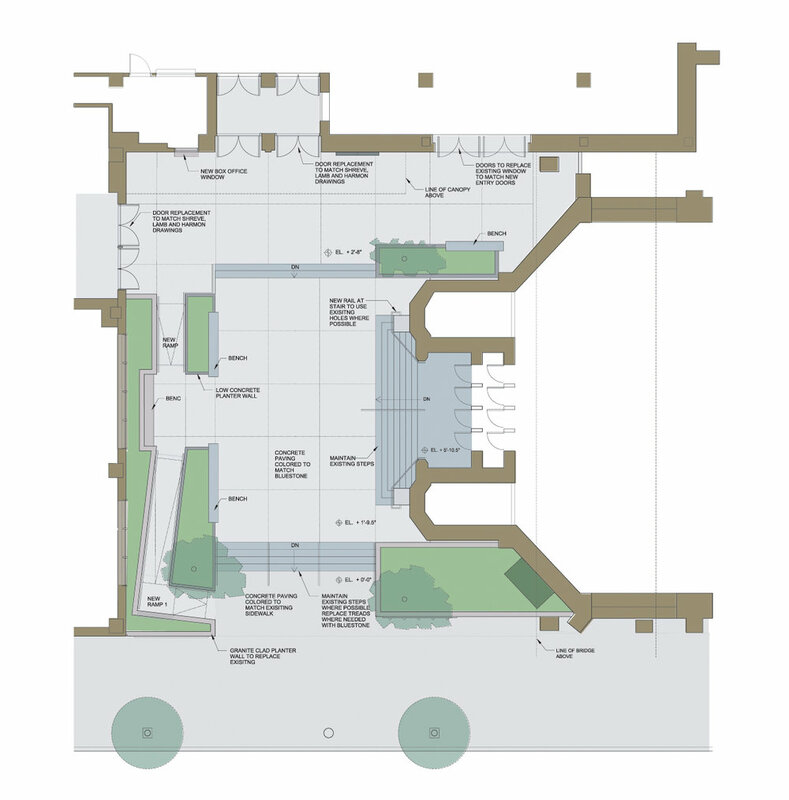 PKSB's design reorganizes the plaza into three distinct zones that provide a transition from the sidewalk to the original courtyard area designed by Shreve, Lamb and Harmon, to the school's public spaces, including the Sylvia and Danny Kaye Theater. Raised planters are integrated into a new wheelchair-accessible ramp and a series of benches line the west side of the court. The plaza improvements also included replacement of metal railings, installation of new feature lighting, and a uniform signage scheme.